Everyone appreciates receiving a birthday gift that leaves them “Starry Eyed”, and when you honor someone with the gift of a real star in their name, they will be over to moon! Congratulations on finding the most memorable gift in the universe for someone special! Choosing a unique gift can be challenging, and finding something truly stellar for the person who has everything can be downright daunting! International Star Registry can help! When you honor your special “birthday star” with a star in their name, you are giving a token of your affection that shines above all others. Present your loved one with the same iconic International Star Registry® star certificate that graces the homes of royalty, celebrities, and millions of lucky recipients worldwide. And you can personalize your birthday gift package with beautiful custom framing options, tasteful engraved items, elegant hand calligraphy, or a stunning photographic sky image depicting the star’s location in the night sky. Star Registry® offers the most unique, personalized gift in the universe, especially for someone who is a shining star to you. Your gift will shine in the sky and be a light on each and every birthday for your loved one for years to come. Name a star for that special someone today. It’s a memorable gift for an out-of-this-world friend. Whether it’s a 1st, a 21st, or 100th birthday, naming a star after someone makes a truly unique and unforgettable gift. Let your loved ones know how special they are to you and watch them beam in awe that their name is forever written in the stars on their special day. The International Star Registry is here to help you give an amazing birthday gift that shines above all the others. Present your loved one with the same world famous Star Registry® certificate that has been featured in movies and on television for 40 years. The beautiful parchment certificate and star package is sure to impress the star in your life. You can also add professional framing options and customizations to make this birthday gift extra special. We’ll be happy to find a twinkling star viewable from your location, or you can request any constellation you wish, including any of the twelve zodiac signs. Just as each person who receives the once in a lifetime gift of having a star named in their honor is unique, each birthday month is associated with unique characteristics as well. Listed below, You'll find the gemstone associate with each month, the flower, the colors, and the associated personality traits. For Star Gazers: We have listed the favorite northern and equatorial constellations for viewing from the northern hemisphere including the US, Canada, Europe, Mexico, North Africa, and most of Asia during each month. 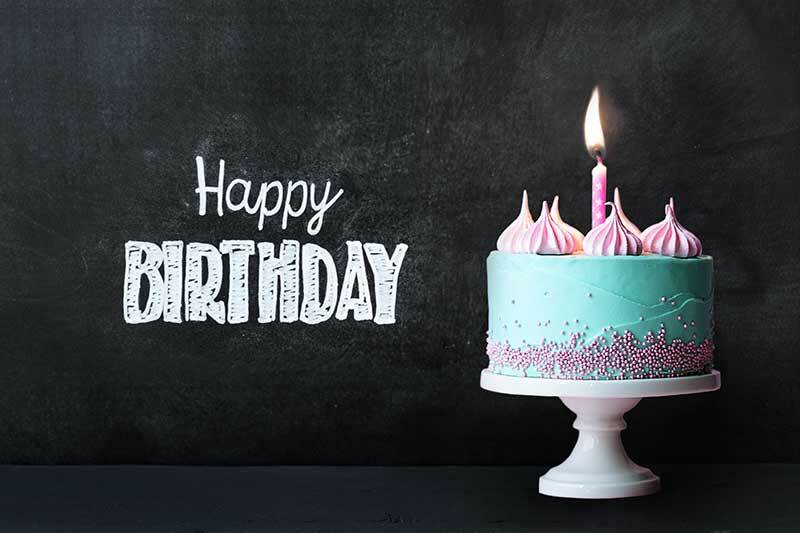 Whether you prefer naming a birthday star in a constellation best viewed during the long dark nights of winter, or prefer stargazing during the warm sultry nights of summer, you will find some terrific options for birthday stars below. Either way, star is a gift of cosmic proportions. As a Birthday Gift, Wedding Gift, an Anniversary Gift, a lasting memorial, as an Award item, or as a BIG Welcome to a New Baby, click HERE to select a constellation perfectly suited to your loved one.